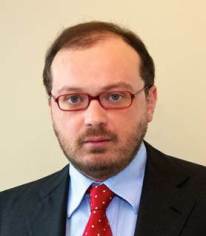 Dr A. Ruotolo received his Master degree with honors in 2002 from the University of Naples (IT) “Federico II” with a thesis on superconductivity, under the supervision of Prof. A. Barone. In 2003 he joined the Dept. of Materials Science of the University of Cambridge (UK), supported by a European exchange grant. He completed his PhD in 2006 in Naples with a thesis on spintronics, in collaboration with the Fiat research center of Turin. He become a Research Associate of the Hong Kong Polytechnic University before receiving a Marie Curie post-doctoral fellowship in the group of the future Nobel Laureate Prof. A. Fert in the CNRS/Thales joined laboratory in Paris (FR). He has joined the City University of Hong Kong in October 2009. He studies materials and technologies for electronic device applications. Materials include metals, oxides and semiconductors showing properties such as magnetism, superconductivity and controllable phase change. Technology includes nanolithography techniques for electronic device integration such as Electron Beam-, Focused Ion Beam-, and nanoindentation-lithography.